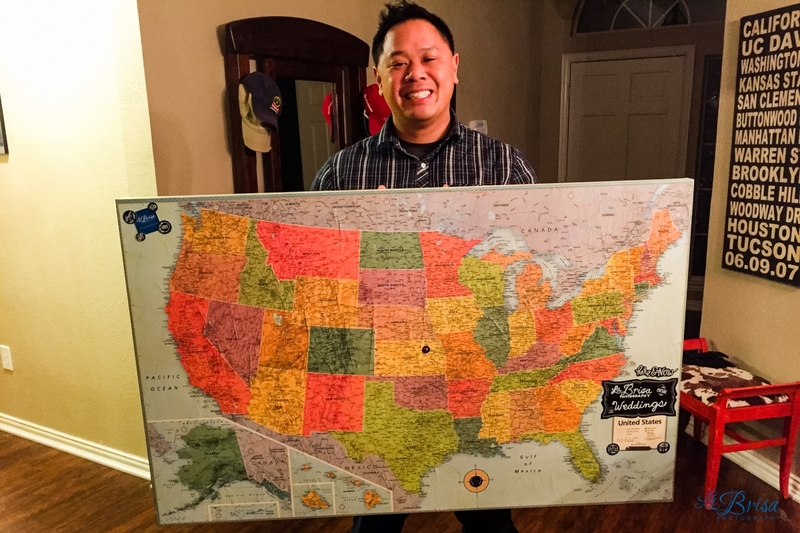 For my birthday, my amazing Brisa gave me this ginormous map of the United States so that I can physically mark the location of all the weddings that I have photographed! How awesome is she??? Yesterday, I celebrated my 34th year of existence and I had such a fantastic day! 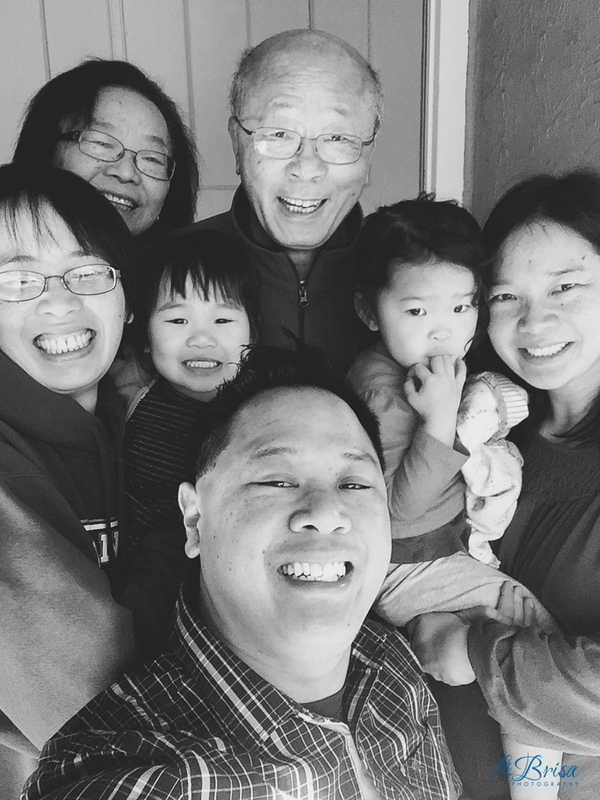 My sisters and I surprised my parents by coming home to visit them for the weekend! I love my parents so much. They taught me about positivity, work ethic and the intrinsic value of travel and togetherness. For the first time in years, I was able to spend my birthday with my family and then I flew home to TX to have a birthday dinner with my Brisa. Plus, I received what feels like a billion phone calls, text messages and well wishes from so many people! A perfect day that was more than I deserve. Every year around this time, I reflect on my La Brisa and my personal goals (2010, 2011, 2014 and 2015) as a reminder to keep looking forward. The La Brisa team shifted quite a bit in 2015. Autumn, Sarah and Emma successfully launched their new photography businesses and for the first time since 2008, La Brisa is a party of one. What does that mean for me? Over the past 7 years, I’ve been incredibly blessed to work with phenomenally talented photographers. Honestly, I have no clue if I am going to invite other photographers to join the La Brisa team or if I am going to focus on building La Brisa on my own. Either way, I do know that there is much work to be done. GROWTH. After 7 years into my La Brisa journey, my goal was to create a team of La Brisa photographers that span across the country. 5-7 photographers across the various regions of the US and 2-3 photographers in the Dallas/Fort Worth area. Now, in the 8th year of La Brisa, I am uncertain if this is still what is best. I love working with a team. The opportunity to work together to problem solve as well as to challenge each other creatively was the key to La Brisa’s successfulness. Nonetheless, I feel like the lack of a team opens more time for me to do more. From hosting more workshops/retreats/mentoring sessions to growing better local connections to extending the reach La Brisa’s reach, I am planning on growing La Brisa intentionally and positively in 2016! HOPE. In the La Brisa 2015 Review, I shared that the focus for 2016 is HOPE. Hope for clarity. Hope for change. Hope for challenging opportunities that make me uncomfortable. I strongly believe that opportunities reward the prepared. My hope for La Brisa is that I can strength the business enough to exploit any and all opportunities. GIVE BACK. Many photographers view the flood of DSLRs, mirrorless cameras and camera phones to the market as a threat to their livelihood and market share. More and more people are taking up the beauty and awesomeness of photography and it is an amazing time for growth for the photography industry. By hosting Aspiring Photographer Workshops (APW), La Brisa shows photographers of all skill levels the how and why of our shooting style. Starting in February, my goal is to host one APW a month for as long as I am a photographer. In 2015, I made an intentional effort to spend more time with Brisa. I tried to go to bed when she did. I stopped working when she returned home from work. I took days off when she had days off. Our marriage grew stronger because of it. Unfortunately, my clients endured long turnaround times and poor communication from me. For 2016, I need to be better at both: husband and business owner. I am working on ways to work more efficiently and to ensure that all of my clients (former, current and potential) feel loved and served by me while improving as a husband. Accomplish my 50 States Goal. Originally, I wanted to photograph a wedding in all 50 states by 2015. Unfortunately, 2015 has come and gone, but I am excited that I have crossed 29 states off of the list and only need 21 more states to finish! Will you help me? I offer substantial discounts to my wedding collections so that I can accomplish my goal! Give Back. I want Photography For a Cause (PFaC) to keep growing in strength and numbers. Last year, with the help of friends, La Brisa donated $7,967.90 to deserving causes. Hopefully, PFaC can reach $10,000 in total giving this year. I continue to be humbled and inspired by those who generously give their earnings for the benefit of others. I want to build a network of Christian photographers. Obviously, there is not a legitimate way to ensure that photographer X has a relationship with Christ, but I would love to see a community where potential clients/fellow photographers can find a Christian photographer in their local area for business, networking, bible studies, mentorships, etc. I’ve been toying with this concept for years. 2016 is the year it actually comes to fruition! Thank you for joining me on this journey. Recently, someone asked me what I did for a living and I told them that I am a photographer. “Oh.” He responded dismissively. Then he proceeded to ask, “How long have you been in business?” When I told him that I have been doing this for 8 years, his tone immediately changed to respect as he exclaimed…”You must be a really great photographer!” I absolutely love what I do and I feel blessed and privileged to be complimented for my work. Without the unfailing love and support from my wife, my family, my friends and the numerous supporters, I would not be where I am today. To all of you, thank you. Thank you for humbling me when I become too confident and for encouraging me when I become shrouded in self doubt. Most importantly, thank you for believing in me. You will never understand how important your words and hugs are to me. Thank you! Check out our latest Dear La Brisa post…Dear Engaged Couples: “How to Dress for Your Attraction Session” by Emma York!